Jeff Beck has yet to get bored with music. Going on thirty-five years since he joined the Yardbirds, replacing Eric Clapton (before being replaced by Jimmy Page), Beck is still exploring, still finding new sounds to pull out of his guitar. He's never had a "Jeff Beck" sound the way Clapton and Page and so many others have. The Beck sound is constantly evolving, changing, shifting. The only real constant in Jeff Beck's playing has been his explorative nature; the fact that he keeps pushing forward. His latest CD picks up where 1999's "Who Else?" and 2001's "You Had It Coming" left off, and shows him continuing his most creative burst since his late '70s foray into jazz fusion. 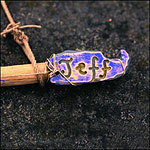 "Jeff" is, as were his two previous albums, immersed in electronica and post-punk dance beats. Producer Andy Wright returns from "You Had It Coming," and gives Beck an even thicker carpet of urban background to play around on. And play around he does, turning some of his trickest solos, some of his most sustained bits of improvisation. While he could always pick with the best of them, what has set Beck apart from the rest of the rock guitar pantheon (with only Jimi Hendrix and King Crimson's Robert Fripp really able to keep up) is his sense of larger construction  his ability to combine notes and spaces to create a sense of landscape with his playing. This jazzlike vision of Beck's, his willingness to see pauses as important as notes, is only improving with his last three releases  and on "Jeff" is stronger than ever, so that each song seems utterly right and complete. What is perhaps most surprising about "Jeff" is what was also most surprising about "Who Else?" and "You Had It Coming"  how very seamlessly this old-school veteran melds his playing into the most modern of sounds, how he can take trip hop and electronica and make it wholly his own. It is akin to listening to Miles Davis' final studio album, "doo bop"  in which the master of cool and bop showed that chops are chops if you have an open mind.